Although we strive to compile these web pages carefully and to provide relevant and current information, errors may sometimes occur. chhutiresort.co.in therefore accepts no liability for material defects and defects of title regarding information, software and documents, in particular for their correctness, currency, accuracy, freedom from third party trademark rights and copyright, completeness and/or usability. In addition, chhutiresort.co.in excludes all liability for direct and indirect damage or loss. This exclusion of liability also applies to information, software and documents on third party web pages connected to these web pages via links. We are not responsible for the content of such web pages, neither do we approve, support or confirm third-party web pages. Although we endeavor to keep these web pages free from viruses, chhutiresort.co.in does not guarantee that they are free of viruses. Exclusion of liability is applied according to this numbered point. In the interests of their own security, users are advised to ensure that they employ appropriate security measures and virus scanners. The content and structure of these web pages are protected by copyright. All rights are reserved. In particular, the source code as well as texts, pictures, graphics from these web pages may not be reproduced (completely or partially), transmitted (electronically or by other means), modified, linked, or otherwise used for public or commercial purposes. The removal of copyright notices and other legally protected nomenclature is prohibited. The brands and logos used on these web pages are protected. 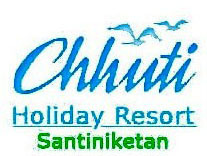 It is not permitted to use these brands and logos without the prior written approval of chhutiresort.co.in. If you visit one or more of these web pages, it is possible that we may deposit information in the form of a cookie on your computer, which will be automatically recognized again on your next visit. Cookies enable us to tailor a web page to your interests, for example, or to store your password so that you do not have to enter it each time. If you do not wish us to recognize your computer, set your browser so that it deletes cookies from your computer hard drive, blocks all cookies, or warns you before a cookie is saved.